What Natural Fillings are in Mattresses? Natural mattresses are made from natural sources such as animal hair and plants. Many of our mattresses contain natural fillings. Whether they're part of the comfort layer or support layer of a mattress, these fillings offer wonderful comfort for a peaceful night's sleep. Here are the different types of natural fillings used in mattresses. These different fillings are used in various sections of a mattress, affecting the overall feel you will experience. For example, wool is often used within the top mattress layers to provide enhanced comfort, whereas latex can be found within the base layer of a natural mattress to offer responsive support. Read on to discover the benefits of natural mattress comfort. Natural cotton is used in natural filling mattresses to offer comfort and support while you sleep. Soft and cool, cotton is highly breathable and wicks away moisture for a fresh and dry sleeping surface. Cotton is most commonly found within the top layer of the mattress to offer a cushion of comfort above the mattress springs. Natural wool is a common filling in natural mattresses. Wool is a breathable filling that keeps you cool during the summer and warm during cold winter nights. Wool is often used as a casing around other mattress fillings to provide a plush and comfortable feel. This natural fabric offers natural fire retardant properties, reducing the use and smell of chemicals in your mattress. Silk is a natural fibre created by silkworms, spun to produce silk fabric. 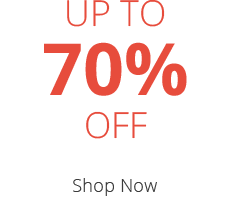 Silk offers enhanced comfort and moisture control, helping to create a cooler, fresher sleeping environment. This natural comfort filling is used in many luxurious and high-end mattresses. Cashmere is often defined as wool, however, cashmere actually originates from rare cashmere goats. Softer and finer than everyday lambswool, cashmere offers a more luxurious feel. Used as part of the structure in high-end mattresses, this natural filling absorbs moisture to help keep you cool and dry. Mohair originates from the Angora goat and is often combined with wool to create a durable fabric. This incredibly elastic natural filling is great for maintaining the shape and durability of your mattress. This fabric is often found in the top layer of the mattress since it features enhanced cooling properties and offers luxury comfort. Bamboo comes from the grass family, Poaceae. Bamboo is typically paired with other comfort materials to form the top layer of the mattress. Bamboo can also form part of the mattress cover. 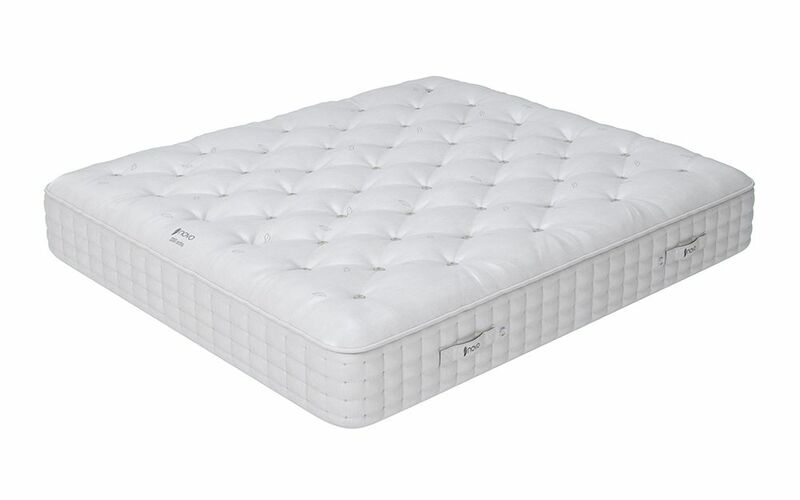 This natural mattress filling is renowned for its natural absorption and moisture-wicking properties, creating a breathable and fresh sleeping surface. Natural latex is derived from the sap of a rubber tree and is commonly used within the comfort layer of a mattress. A highly responsive and elastic material, latex adapts to body movements as you sleep. 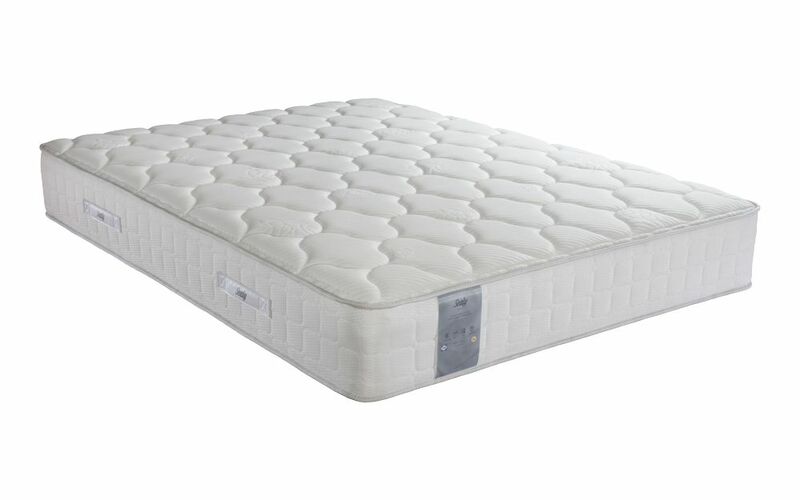 Evenly distributing body weight across the mattress surface, it's a great option if you're looking for pressure relief. 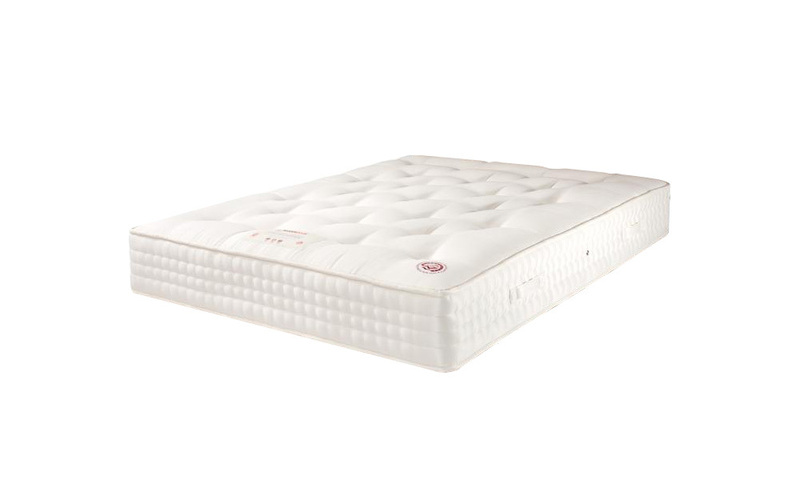 Latex can be found within the comfort layer of a mattress, above the mattress springs. 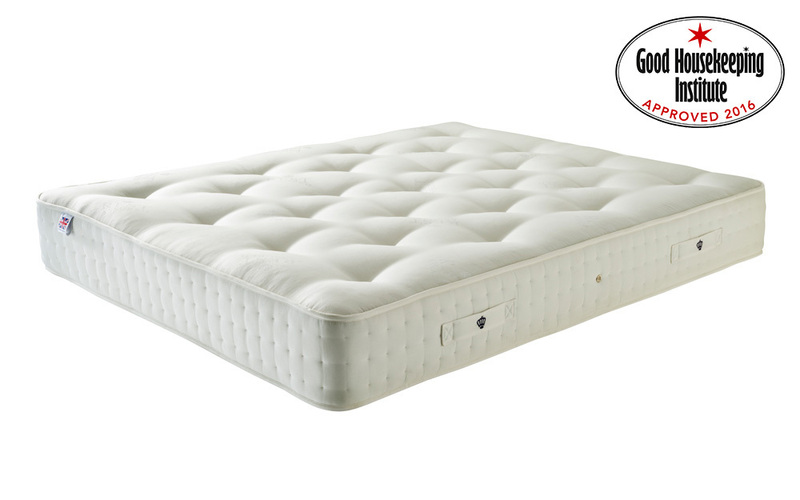 Some mattresses are made from 100% latex for exceptional comfort and support. You can find out more about latex over on our page, what is a latex mattress? What types of natural filling mattresses can I buy? There are many different types of natural mattresses available. From cotton, wool, silk and bamboo, to mohair, latex and cashmere; there is a great range of options. 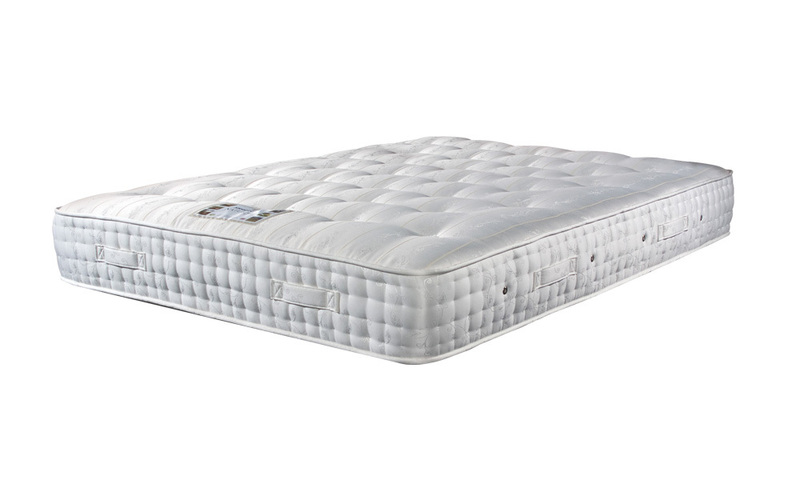 Natural mattress materials are often combined with pocket sprung support. Want to discover more about pocket sprung mattresses? 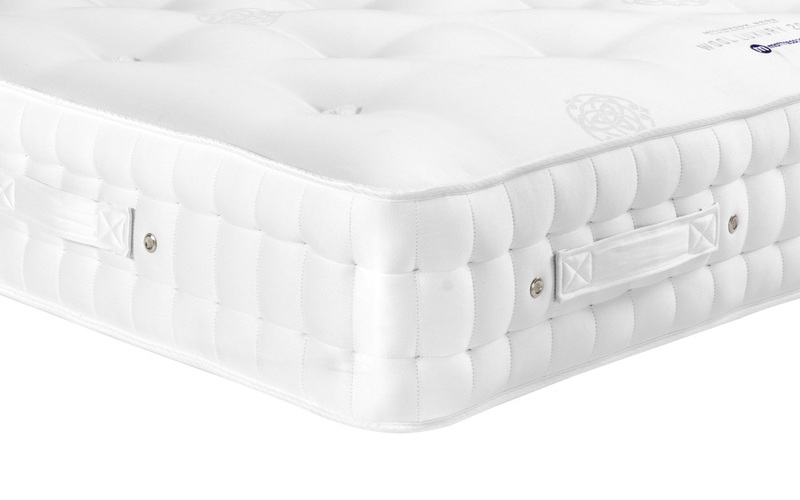 Head over to our guide, what is a pocket sprung mattress? for more information. In addition, depending on the natural material, each type of natural mattress will have a different firmness rating. 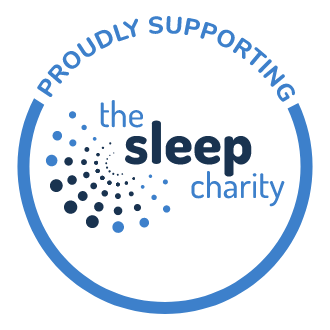 Supportive and sturdy, a firm or extra firm natural mattress is ideal if you're looking for natural comfort and a high level of support. Looking for the perfect balance of comfort and support? Our medium and medium-to-firm natural mattresses offer the best of both worlds. Our soft-to-medium and softer feel natural mattresses are perfect if you love super-soft comfort and gentle support. Finding the ideal natural mattress has never been easier. Our wide range of natural mattresses offers something for everyone. 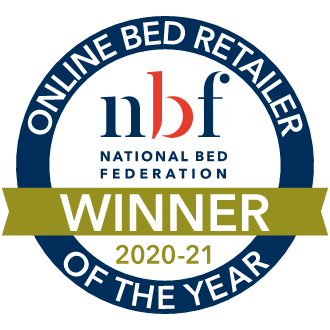 Here are a select few of our best-selling natural filling mattresses. Natural mattresses are the perfect solution for a restful night's sleep. With a wide selection to choose from, finding your ideal natural filling mattress is simple. If you need any extra help deciding which natural mattress you should buy, give us a call.